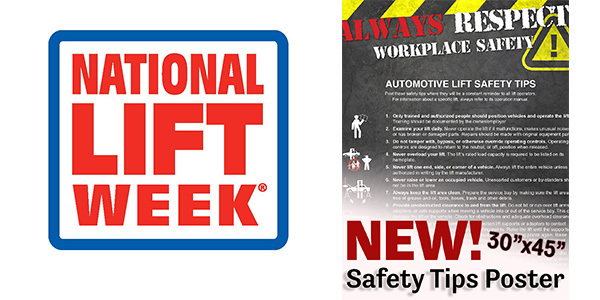 Heavy-duty vehicle lift company, Stertil-Koni announced that during the fifth annual National Lift Week on Oct. 8 to 13, they will contribute one-third off the purchase price of the Automotive Lift Institute Safety Tips Poster two-pack – applied to the first 80 orders beginning Oct. 8. The limit is one order per customer, five per company. The need is real, as safety in the maintenance shop is always a top priority. For its part, Stertil-Koni, the official sponsor of National Lift Week, along with its North American distributor network, will provide added emphasis on best practices in vehicle lifting safety, efficiency, durability and environmental stewardship as part of the week’s events. Stertil-Koni is an active member of the ALI, which, since its inception in 1945, has been a fiercely independent third-party industry watchdog that actively promotes the safe design, construction, installation, inspection and use of automotive lifting products. 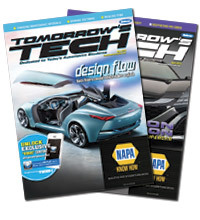 For additional information, visit autolift.org and stertil-koni.com.